Thank you once again for being with us. This is our next call and will be with El Morya; it is great to commune with each of you. I am excited about speaking to you and allowing our energies to be more intertwined than they ever have been. This is an exciting time for each of us. Just as it is exciting for each of you ~ it is the same for us. We have been waiting especially those of us in Telos. We come to you from the Command Center in Telos and the energies of each of you coming to us in your sleep time and sometimes during your meditation, it is very exciting. Continue to do so. As we continue create these moments, love and continuance, it is amazing what is happening to everyone on the planet. It is progressing. This growth is a continuation of all of the Light Beings as Christine has been speaking about. It is a movement for the frequency to each of us combined with each others’ energies and within this combination of Light, the essence and continuity of your work is going to become more aware to you than you thought possible. This group of coming together in this way is helping to bring together different pieces of the puzzle. You are all part of the large pie of ascension for the Earth and for Gaia as you are the conduits and bringing in the energy. Allowing that frequency to be fully within you is what is going to assist. Yes, the challenges are there and yes, from information that was brought forth earlier this week, the rawness is there especially if have not quite felt this rawness before. It may not be the first time and may not be the last time, so prepare yourself for that. As each of you bring forth the Divinity within you, the birth process will continue depending upon the issues that you are dealing with. So this frequency of continuation that is happening is only going to assist you more deeply. How can we assist you? We can assist you by utilizing your tools every day as always been said. These decrees that Christine is writing will assist you tremendously because it will tap into that level of frequency. Make sure that you take time to print out the decrees. She will make them available to you. There is power behind them because of the activations coming from each of the Masters and the God Force is the frequency, not just the words. There is a combination of intertwining energies that are occurring within the frequencies, and then when that happens within your Being, you start to feel the continuation that is happening within you. As this occurs, you will see a difference. Remember to embrace yourself when you have those moments of continuation that are very powerful and in those moments, we bring forth the Divinity of what each of you are going through individually. We want each of you to be able to handle the higher frequencies and allow that essence to be fully incorporated and grounded. This is what needs to be done ~ we need to fully ground the energies so that you have a process of what is going on within you. I would like each of you now to have a moment of remembrance. Let’s go back to that Garden in Telos with the waterfall. I want each of you to take a deep breath and feel that waterfall and the essence as this is what is going to assist you in this process. Many of you probably have more remembrances in your meditation and your sleep time. Utilize these aspects to assist you as each of you is a part of this. You are not separate ~ so let’s take a moment and visualize ourselves in that beautiful land ~ the sun is bright the water is flowing. You may go up to the water’s edge and put your feet in ~ you want to get your whole body in ~ whatever you need in this moment, let’s take some moments of breath and allow that to come fully within you. Allow the frequency to be in the basis and it to occur. Allow the fluidness of the love and the continuation of your Divinity to be fully within you now and to have the courage to do the walk ~ jump across those boulders, places, that are separate and put yourself out of that comfort zone into the Divinity that you are. Once you get out of that comfort zone, embrace yourself. Feel the embracement ~ children are dancing around ~ everyone is happy to see you. Hear the birds singing, flowers all around you, the fluidness of the water, feel the sun, feel the warmth, and feel your Divine Essence fully within your body. Breathe deeply. Now state exactly what it is you desire assistance with as you are in the state of peacefulness. As you sit there, I am going to speak to you about a few elements concerning timelines.. Please know that the Golden Cities are being erected as you speak and many are not going to be available for quite some time. The changes upon the Earth are not going to happen all at once as you have already seen. We must be in preparedness and within that preparedness, we must realize that you need to be ‘where you feel you need to be’. If you feel that you need to be somewhere else, tap into that energy. I want you to feel that right now and what your present pathway now in this 30 days ~ not any further. I know you want to go farther and you want to know when this is all going to happen. When we are going to get onto Terra Christa ~ some may be going sooner than others in prepared ways. Preparing for the Golden Cities; some need to be here to assist others for their preparation. There have been great delays in Terra Christa because of individuals not being ready. So the timeline of everyone thinking that everything is going to change at the end of this year, is not so. It is going to change in various increments. As they occur, there is going to be more changes that will result from that, but please know that there is a long timeline with this and whatever it is that each of you are experiencing, please know not to jump too far ahead. I want you to think about NOW. I want you to breathe in the moment as you sit in the Telosian land ~ feel the moment of this frequency and allow that to be within you right now. Patience is essential ~ worrying about everyone if they are coming with you or are not coming with you~ is not good. You must be in the moment. All you can do is put your energies out there for others to wake up and be with you. There is going to be separation with people around you. It is a time for you to accept that. It does not mean it has to be done immediately. Some of you may be challenged so much that you just want to run away and we do not blame you. Christine has been trying this for years, [with laughter] and look she is still here. She is facilitating this energy for each of us to come together, and it is a great blessing for each one of us. We are really, really excited to be part of these frequencies and to assist you and us. Each of us is becoming personal friends; we are no longer your teachers. We have been your teachers, and we will show our teaching tools but you are also going to be teaching others ~ it is a lineage that is occurring. So I ask of you to stay within that moment. The main point of what we want at this time is to vibrate everyone’s energies so that we can get to Terra Christa physically. It is a physical existence; you are incorporating your Light Body but you are activating it on a physical level. There is no androgynous; you will be either the male or the female that you are. It will be just like being in Lemuria so we are going back to those stages and this is what we experience in Telos. We have been able to safeguard that frequency so that we can fully be in the higher realms. You are in preparedness for that to happen. It is my pleasure; I am Master El Morya at your service. I am honored that each of you are opening yourself up onto this pathway more fully in a consciousness basis. Each of you has been doing it subconsciously and out of your bodies. Now it is time for Remembrance and I am so happy that you are with me to the Bridge of Freedom. It is a beautiful time and within this beauty there is such a continuation of life as we have never seen before. As we bring forth that continuation of life, there is a frequency of Light occurring for everyone. You have chosen to be here; you have chosen to be on this pathway to do this work and for most of you, you have done it before. So it is just a remembrance. Isn’t this week about renewal, the rebirth and the resurrection that occurred last week removed the old elements. We are now in the Inner Core area. Within that area it is allowing each of us to fully assist you so then you can assist others together. This is the important facet. Some of you may even be opening energies with some of us, the Masters, to do some deep channeling on the different levels. Christine is wonderful because she receives all of us ~ she is like our spokes-being-person (we like to call her our Spokes-Being) because she taps into the entire God Force but each of you may have a distinct connection to myself and other masters that are going to be coming through, Light Beings, Angels, Archangels, and the Elohim Masters. So it is going to be very exciting ~ the aspects that each of you are going to be bringing forth. Tonight I want each of you to have a remembrance. It may be just a little spark ~ we are going to ask for an activation for this remembrance to be within each of you to possibly wake up and start writing. It may just be a few words, or a few sentences, a thought, or maybe a vision, but whatever it is allow yourself to remember. We will also do a little visualization in one of these groups ~ I think we would like Christine to do that when you have your monthly gathering for the discussion group. We would like Christine to give to you what she does for herself of regressing herself from her memories of what occurring for her. Let’s do that for each of you so you can tap into your memories of what you have experienced a night before, or possibly in a deep state of meditation and you cannot remember what it is. The consciousness mind as a way of allowing that to slip away and sometimes it is a protective measure but in this case, it can be a downside. I am extending my hand out to each of you and yes, I am very tough. Some of you may have already have worked with me. If you have worked on the Will and Power, if you have those energies of the planetary level, and you may have had it in other lifetimes that you have brought forth this lifetime, sometimes you can be a bull in a china shop and want it done your way. That’s what we call the “Red Ray”. It is a power ray on the Planetary level. Let’s tap into the Cosmic energy which is so more representative of what we are embodying and desire to embody into this Earthplane. We fully want to bring in those higher frequencies of compassion and love and to bring that Divine Aspect of the Will of God. The Will of God gives us our strength, and our power. He shows us the way but he shows it with tenderness and love; not with moving through a forest and pulling down all the trees because you see something that is in front of you and it does not matter who is around you. This is what we want to change with the Earthplane ~ the frequency of the Earthplane changing into the New Earth. With the expansion process that is occurring, these frequencies is changing the old earth. Yes, some of it is going to be dissipated as it goes into Terra Christa but your job is to assist the energetics of the land as much as possible and when we are assisting in this way we are also assisting the thought forms that is in the hemisphere. As you are bringing forth the aspects of your balance within the Will and Power of Cosmic energies, you are bringing forth the creation within you to allow full essence of the Earth fully ready to move into that higher frequency, we can take as much as we can. Yes, the maps are out there; others have channeled information. It is not set in stone ~ it has changed greatly from the last 30-40-50 years. It was going to be a much greater event at the New Millennium and look what occurred. So many more of you have awakened since that time to assist in the process. Yes, it has been delayed and the delay has been essentially important in the continuation of Earth and moving into the higher frequency. We don’t want to see it fall apart as each of you don’t want to see it fall apart either. We don’t want to see lives lost, as they have been, so every effort that you are doing to assisting the masses and assisting individuals is absolutely fabulous. And it is only going to get better. So how can we not create what we desire because we have the power and I am right here with you. This is where I will prod and push you along to give you that courage, to move to that next step and to allow yourself to understand what it is you are here to do especially with each other. These groups that are forming through Christine ~ we are in awe of each of you ~ and how you are all coming together in this way. We have to thank the Internet, the telephone system, the computers and the technology you have been given. It is assisting greatly but what happens is the people are bringing forth this technology at times do not have the tenderness, love, and compassion. So this is where you are coming in and we are going to assist each other. I want everyone now to take a deep breath and within the breath see ourselves all gathering together in Merkabah vehicle from Telos centering ourselves into the Etheric Level of the Earth. I want to take you to my Golden City, “GOBEAN”. Let’s take a deep breath and feel ourselves into the Tucson/New Mexico area. The Etheric level of the Earth is quite different. This is the earth that is going to move into the 5th dimension but we need to move the lower energies of the Earth to join us just as you are sitting with other individuals to raise their vibration so that everyone can be together. As we bring forth this energy, I want you to center into the Etheric energy while feeling the Essence. I want each of you individually without telling you too much information ~ I want you to see what is going to be happening within these cities. Of course, there is going to be a council and pertinent people who are going to be part of the council. But there are going to be many individuals in groups. The Golden Cities are representative of your capital or large cities that will house the communities. There will be other outlining areas that will not be part of the Golden Cities depending on what we can create and bring with us. The Tucson area will be one for the first cities that will be available to travel interdimensionally. Some of you may feel a connection to be part of that frequency ~ to be part of the building of the city. Some of you are already doing this work. This is why you are all in different states of consciousness. Like when you feel you need to sleep and you just leave for awhile. 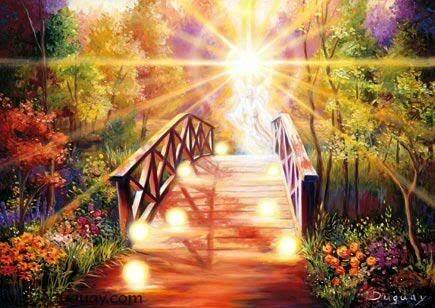 You are coming to the Etheric area and helping to prepare. So I want you to feel what is happening and you will see there is not much happening in the city as yet while it is being constructed. The Golden Cities are beautiful cities of Light. I want you to walk around and see the land; there are mountains, spaces of water, one space that will be the construction of a beautiful city that the circumference is very large. It covers many miles. I want you to feel the frequency of the power of this city and what it feels like to you ~ if you feel aligned with the energy of Will and Power, I want you to come here and visit. As we walk through a field there are a series of steps ~ almost like they are Golden steps and many of them. Some of the construction is aligned with the Egyptian, Arcturian structures including the pyramids. Large masses of constructed material, waterfalls flowing, and the base of this structure which will house many different levels. There is a circumference in the middle that will house the meetings and the councils. Then there will be outlining communities on the outside. This construction has not finished. It is the basis ~ you may see many steps in different areas ~ in the front and the sides and the back. There are large pillars, and as we walk up those steps, I want you to visualize in the middle where the large structure where the building is going to be. This building is going to be a combination of all your structure ~ Atlantean, Egyptian, Lemurian, Grecian, and Roman ~ all the great frequencies of the past are going to be represented. So the old Earth is not going to be forgotten. We go to the middle part of the structure that has not been built yet. It is just the base and within the base is an altar. We all center ourselves around the altar. We give each of you a beautiful goblet filled with the Blue Ray of Will and Power. We will bless each other in a toast for being on this pathway together and incorporate within us the sympathy, tolerance, and patience to keep going along with the transitions that are occurring for us. We clink our glasses to each other; we have the Team of Light with us and each of you and we Salute ~ have a drink . As you take this sip from this glass, we give you the ability to have your Will, Power, and Drive to be very courageous and truthful while being humble. Feel the tenderness running through you. The glasses are crystal glass ~ notice you may have a multi-faceted crystal ~ it may be clear quartz. Now you say a wish for yourself for this city ~ for your energy to be here ~ and to actualized into the water which is a waterfall and the flow of the water all around it. You throw your crystal glass into the water. It cracks and breaks apart. The water is fluid and it is running through the entire city. Breathe deeply as we are all hand-in-hand, arm-in-arm together. We are uniting more fully than we ever have before. Allow yourself to fully be here at any time and allow yourself to speak to others what you see. When you are finished with this meditation, you may want to write something so that when you all gather together and speak ~ you can put the pieces together of what you are seeing. Some of you may see things differently than what is coming through Christine. We want each of you to be major part of this frequency. I Am honored to be here with you and here, in our city together, of Will and Power. Feel the beauty that is within each of us in this moment. I also ask for Archangels Michael and Faith and Elohim Masters Hercules and Amazonia to overlight your frequency and intuit this ray fully into your Throat Chakra allowing it to vibrate on the Cosmic Level. Speak your truth with humility and gentleness, and you will acquire patience. Let’s all walk down the steps and we gather together in the field of flowers as we bid our farewell to the energy on the Etheric level as our Merkabah vehicle leaves the area ~Breathing deeply. Let us now center ourselves back in Telos, in the Garden. Take a deep breath. Thank you; this is El Morya at your service. I appreciate your love and your compassion and your Will to walk this pathway. I am with you every step of the way just as I know you are with me as we walk together hand-in-hand onto the new Earth of Terra Christa. Namaste. This is Lord Adama again. I would just like to take a moment and thank you. As we sit here in the Garden once again, this can be a place for you to connect at any time for your remembrance of your 5th dimensional body. Because as each of you are sitting here, you are in your 5th dimensional body. So you may feel some reactions in the next few days if you are not used to having this frequency within you. Know that we are here to assist you; know that you will get to meet us physically very soon. As these changes are happening, we are all going to be gathering together in different places. Please know that the time is coming, but be patient with this timeline. Don’t jump before you are ready to jump; and jump when you are ready. Allow this to be your guide. Allow this frequency to be fully within you. I ask now that each of you have a remembrance of your Lemurian lifetime as you are sitting here with each of us of the joy and the beauty that we have here for you to intuit that within your physical being of the love and acceptance that you are. Breathe deeply through that ~ allow that to be your guide. This is just starting with us and we are so very excited to be in one space with each other. It is our reality and it will be everyone’s reality. Believe it to be so because the magic is within each of you as it is within each of us. Thank you and Namaste. Let’s now all gather together. Take a moment to take a deep breath and allow within your mind’s eye to be back to where you started. Allow that frequency to be where you are. Ground yourself. Allow yourself to be fully grounded in your present location and come back any time that you choose. Until next week we look forward to communicating in every moment that you choose. I Am Lord Adama for the Team of Light. We are honored. This entry was posted in 5th Dimension, Ascended Masters, Ascension, Channeling, God Force, Lightworkers, Master El Morya, New Earth, Vibrational healing and tagged 5th Dimension, Ascended Masters, Ascension, channeling, God Force, Golden Cities, Lightworkers, Master El Morya, New Earth, Oneness, Vibrational Healing. Bookmark the permalink. Gobean Arizona. How do I find it? This is in the Etheric level of Earth but the frequencies are nearer to Tucson and New Mexico. I heard that area is very beautiful and I think if you travel, and use your intution, you may just find what you are looking for…many are being asked to call in preparation for the 5th dimensional frequencies.